"You ain't seen nothin' yet!" 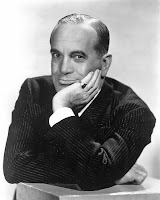 Al Jolson was one of the first mega-stars when it came to singers--he was the first recording artist in history to sell more than 3 million records. Developing his style on Vaudeville stages, his fame grew through his recordings in the 1920s. His popularity grew even more when he started making movies--his voice was the first one many Americans first heard in movie theaters--starring in the first Warner Brothers "talkie" The Jazz Singer. Vaudeville was known for producing some of Hollywood's best known early talents--like W.C. Fields, Will Rogers,and Abbott and Costello. But Vaudeville performers were notorious for "ripping off" each others work, and Jolson was no angel. In fact, the song he was best known for My Mammy was originally introduced by another Vaudeville performer. Jolson liked it so much, he used it in his Broadway musical Sinbad where it became is biggest hit. You know who recorded it first? 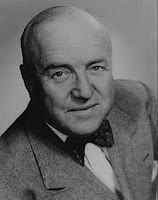 William Frawley . . . that's right, it was Fred Mertz. 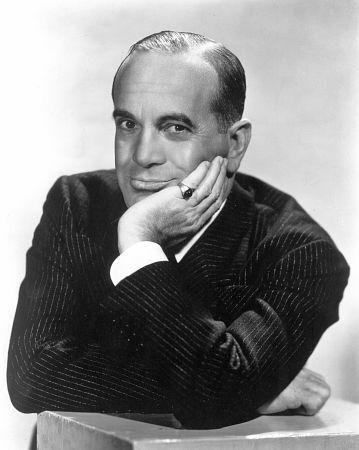 Jolson may have ripped him off early in their careers, but he got even by becoming famous on I Love Lucy years after most Americans had forgotten all about Al Jolson--and he is probably on a rerun of I Love Lucy or My Three Sons right now somewhere in TV-Land.